In the age of digital transformation, organisations are having to manage more and more devices, multiple platforms, software and flexible ways of working. The result can be a loss of centralised control, poorer visibility of assets and increased complexity. Trustmarque want to empower your organisation with connected IT. 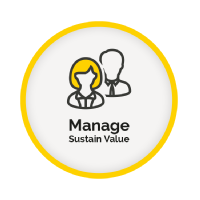 Through dynamic Asset Management, we re-align IT with the rest of the business to drive automation and deliver better outcomes. There has never been a better time to reconsider your Software Asset Management (SAM) or broader IT Asset Management (ITAM) strategy. According to Gartner, in 2016, 17% of IT spend in large enterprises was controlled outside of the IT dept. By 2020, that proportion is set to increase to 50%. The trend in self-procurement is creating a disconnect between the central IT function and the rest of the business – known as the Technology Disruption Gap. 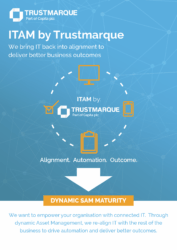 Download our latest ITAM brochure and find out how Trustmarque can help realign your IT with the rest of the business. Bespoke ITAM strategy – Set a clear plan of action that shows how you can unlock the potential of your IT estate and improve your IT procurement strategy with honest, evidence-based recommendations, including Commercial Benchmarking. 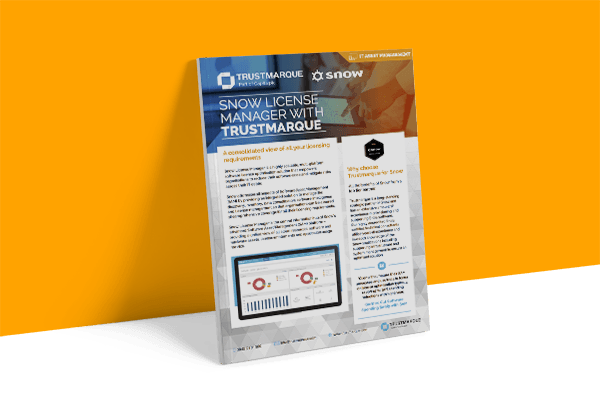 Trustmarque’s Virtual Asset Manager (VAM) service – powered by Snow – sits at the heart of our ITAM approach. 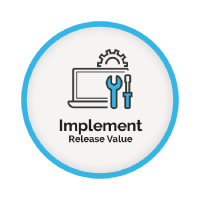 It gives you greater control of your software assets and aims to realign your IT department with the rest of the business to drive your SAM Maturity and ITAM success. Whether you choose an on-premise or cloud-based solution, our VAM services are specifically tailored to become an extension of your team with minimal impact on resource and infrastructure. 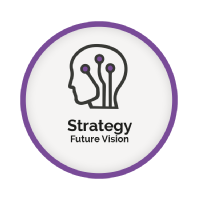 We aim to advance your SAM maturity and drive long-term operational efficiencies. 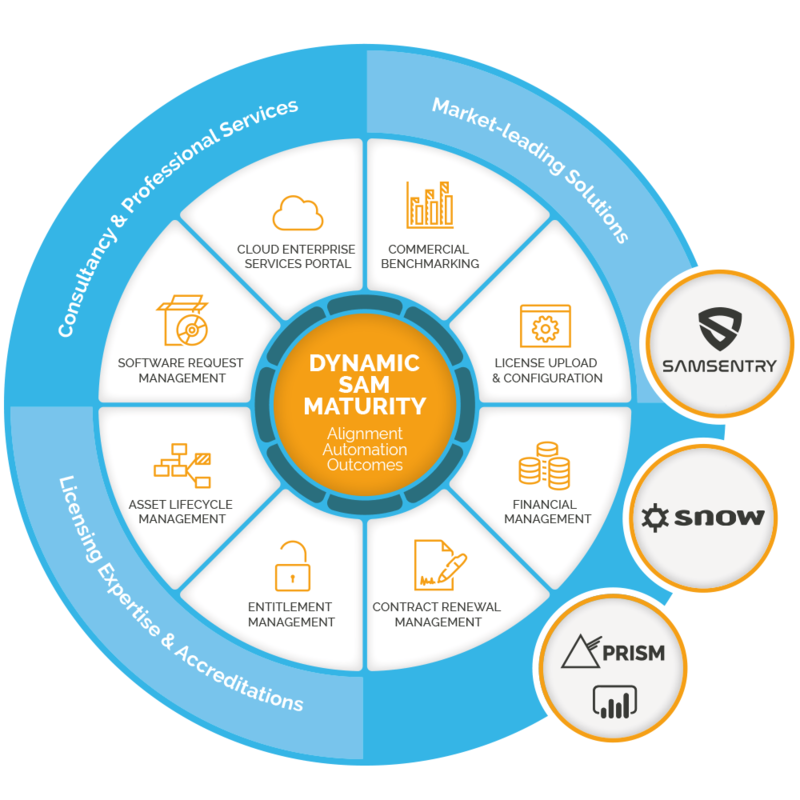 Trustmarque provide a hosted solution for Snow License Manager, a highly scalable, multi-platform software license optimisation solution. Snow empowers organisations to reduce their software costs and mitigate risks across the IT estate. Our aim is to make you self-sufficient and dynamic in your SAM Maturity. 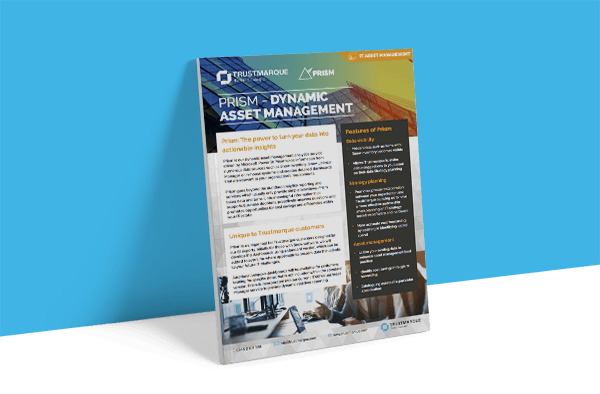 Through dynamic IT Asset Management, Trustmarque can re-align IT with the rest of the business to help make you more efficient, ensure compliancy, optimise spend, drive automation and deliver self-sufficiency. Our ITAM consultancies are bespoke to your needs but founded on the same quality Trustmarque standard. Our experts will work with you to provide appropriate solutions that flex to meet your requirements, no matter what your current level of SAM maturity or ITAM ambitions. We’re powered by the best minds in the business. Our highly accredited experts are passionate about helping you to achieve more to overcome your organisation’s ITAM challenges. We bring you tried and tested technology that will release value throughout your IT lifecycle, including innovative solutions like Trustmarque’s Prism Analytics. We’ve been a Microsoft reseller since 1987 and were one of the first Licence Service Providers first accredited with the foundation of the Volume Licensing Programme. We’re expertly placed to help you optimise your license agreements. 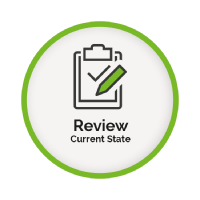 Everything we do is about raising your SAM Maturity to the highest level with quarterly reviews to ensure ongoing optimisation. In an era of shadow IT, we give you greater control of your assets to help you reduce cost, remain secure and increase efficiencies. We are a highly accredited partner with all the leading vendors, and hold 14 Microsoft Gold accreditations. We work closely with all our partners to ensure the best deal for you. A powerful SAM optimisation solution that – when combined with software audit and licence management technology – provides a 360-degree view of an organisation’s SAM infrastructure. 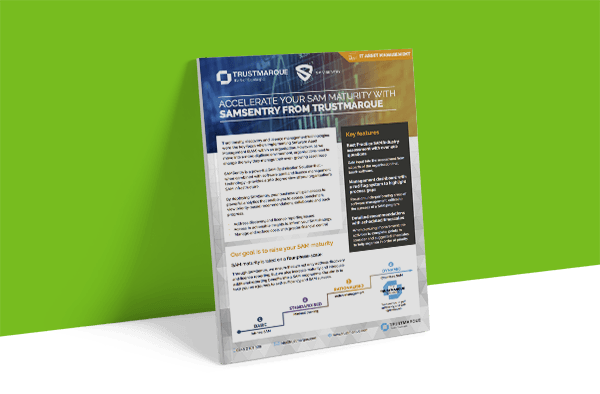 SAMSentry enables you to assess, benchmark, view priority-based recommendations, collaborate and track progress on a global level. Bespoke to Trustmarque, Prism is a dynamic analytics service driven by Microsoft Power BI. It takes complex information from multiple sources and brings this together via a series of dashboards to give you easy access to meaningful information that supports business decisions about your IT estate. A highly scalable, multi-platform software license optimisation solution that empowers organisations to reduce their software costs and mitigate risks across the IT estate. Snow addresses all aspects of SAM, providing an integrated solution to manage the discovery, inventory, data consolidation, software intelligence and license management.